I have been really busy lately so I decided to stop and breathe for a few minutes of doodling. 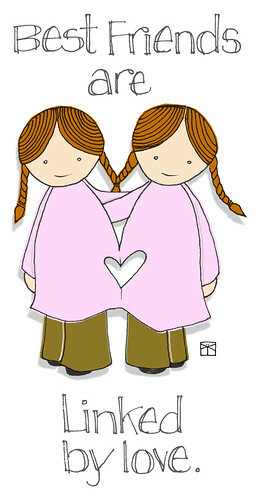 I got an email that Illustration Friday’s theme was “linked” and the first thing that popped into my head was Siamese twins. I think it turned out pretty cute and may end up making it a greeting card.